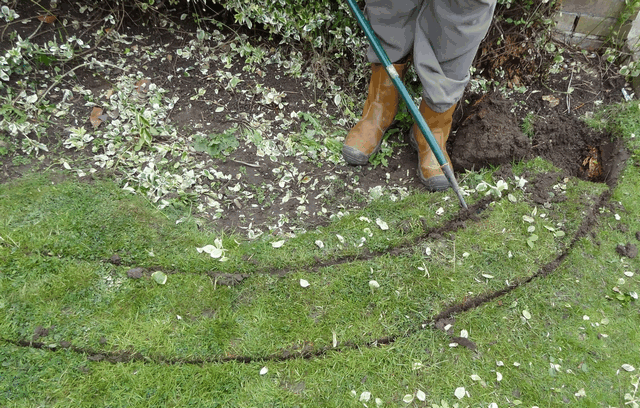 Mark out the shape of your garden wall using a hose pipe, or rope, and dig the edges around 100 mm ( 4" ) deep. 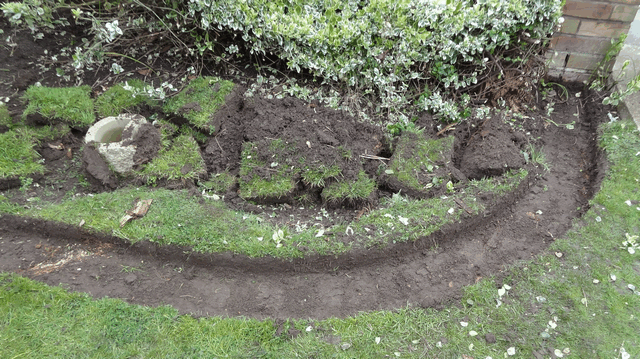 Dig out the soil for 100 mm ( 4" ) to make a level base for your wall. 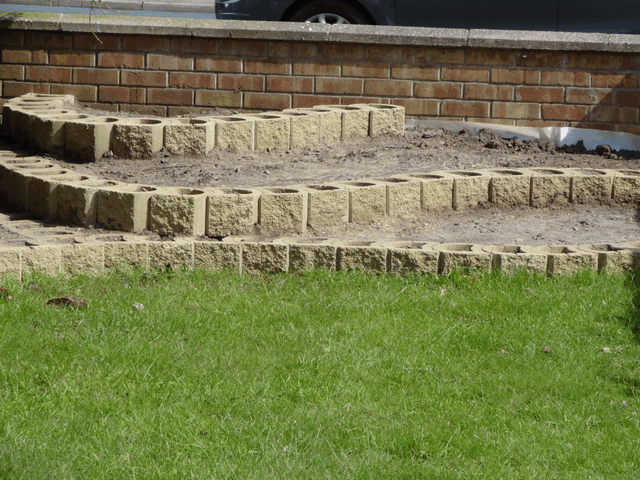 Lay the first row of your interlocking wall blocks. Either the flat "rock face", round smooth face, or a combination of both, can be facing outwards. 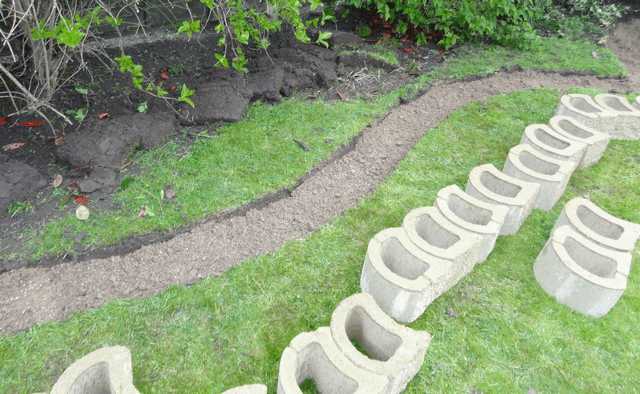 Their is no need for mortar for jointing the wall blocks. 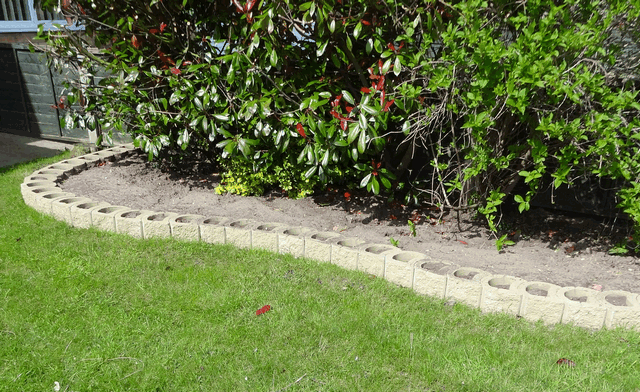 Your TERRAFORCE interlocking block garden wall is now finished and ready for planting. 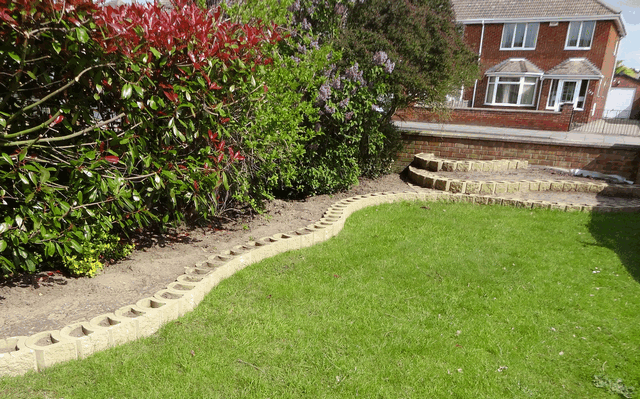 There is no cleaning to be done as there has been no need for concrete foundations or mortar for jointing.